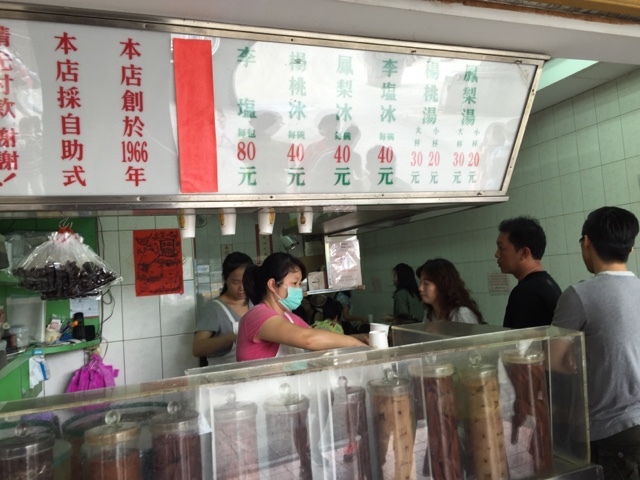 Chengdu Carambola (or Star fruit) Ice (成都楊桃冰), established in 1966, has been in business for more than 40 years and in the last four decades, he sells only Pineapple Ice, Seasoned Plums Ice and Pineapple Ice. Business is at brisk at his store in Ximending (西門町), be it in Summer, Autumn or Winter seasons. There is always a long line of customers, queuing to buy the drink or dessert. It was an extremely hot today and we had to get something to quench our thirst. We went to get two cups of iced beverages at 成都楊桃冰. Already, there were a long line of people queuing to buy iced desserts or drinks. 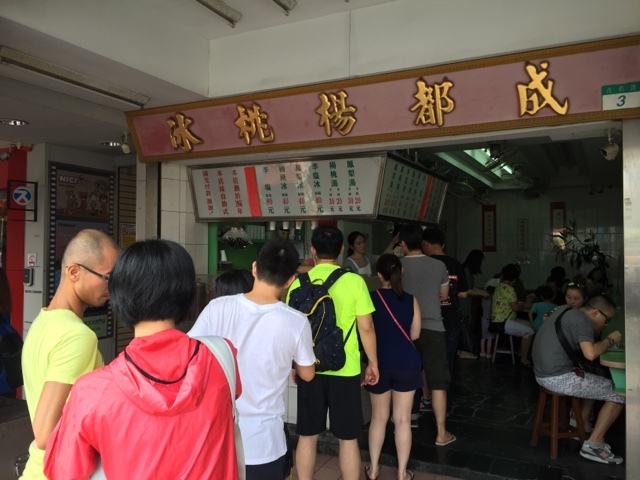 Despite the long queue, the line shortened very quickly due to the fast and efficient workers. 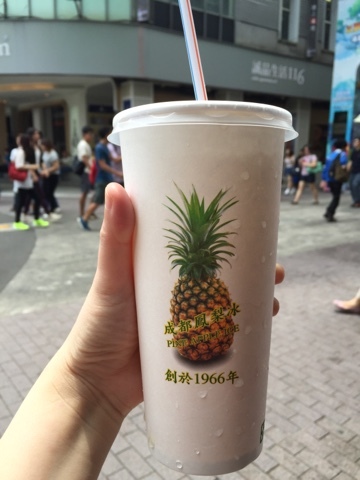 We ordered a large Pineapple Ice (凤梨汤) drink (TWD30) and a large Carambola (or Starfruit) (楊桃湯) Ice drink (TWD30). These drinks were at SGD1.30 each. Both beverages have similar packaging. The only difference was the fruits displayed on the cup. If you were drinking Pineapple Ice, the cup will have a picture of the fruit. Likewise, for the starfruit drink. Atmosphere A 1960s interior with simple furniture. The store practises self-service.